REGION OF CENTRAL GREECE MAPS | M-STAT S.A.
M-STAT in collaboration with Terrain Maps developed the mobile app “Region of Central Greece Maps”. 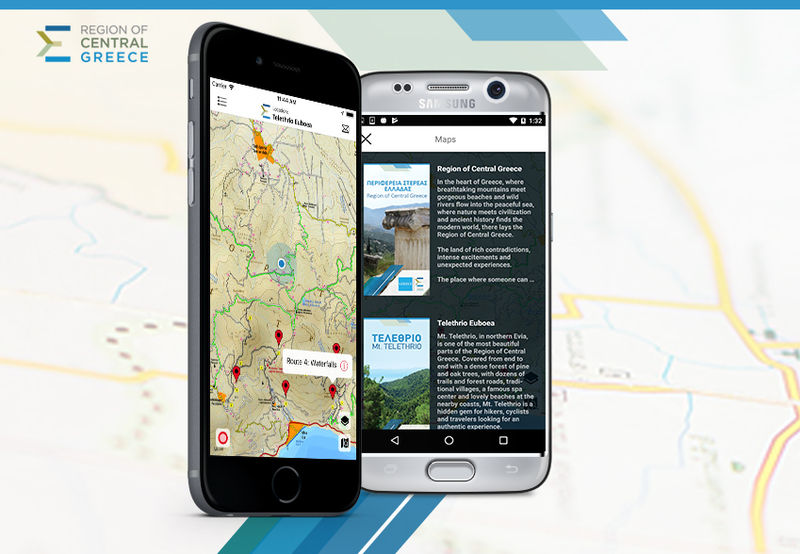 The app provides users with easy access to a general tourist map which covers the whole geographical area of the Region of Central Greece, as well as the hiking map of Mount Telethrio in northern Evia. It has been designed to help guide travelers on their road tours in the area, also showing routes in natural surroundings, while it ensures a comfortable and safe trip even in areas without mobile internet coverage.